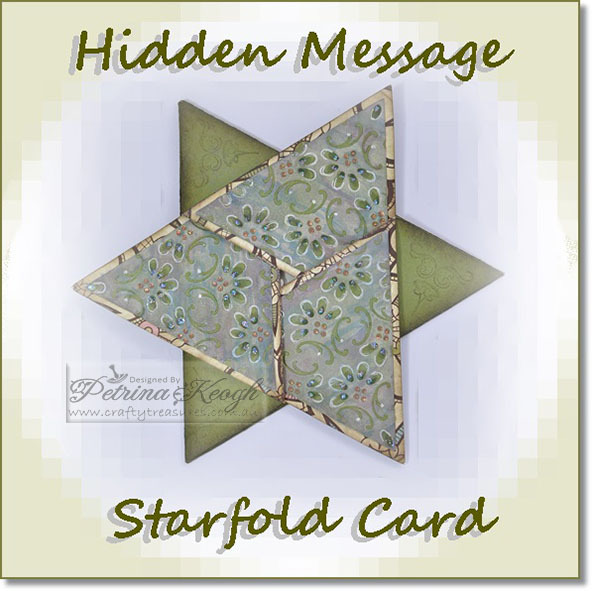 Hi there Crafty friends, today’s project is a simple, practical modification on the Starfold Card. I found time to finish it off recently, to share it with you. I did a slight mod with some measurements, so this card has a useful inner panel to write a message and also room to show a lovely stamped image. I am not sure who the original designer is for the base of this card, but I found a couple of very good English instructions Here, and Here, so you can easily make the base portion of the card. 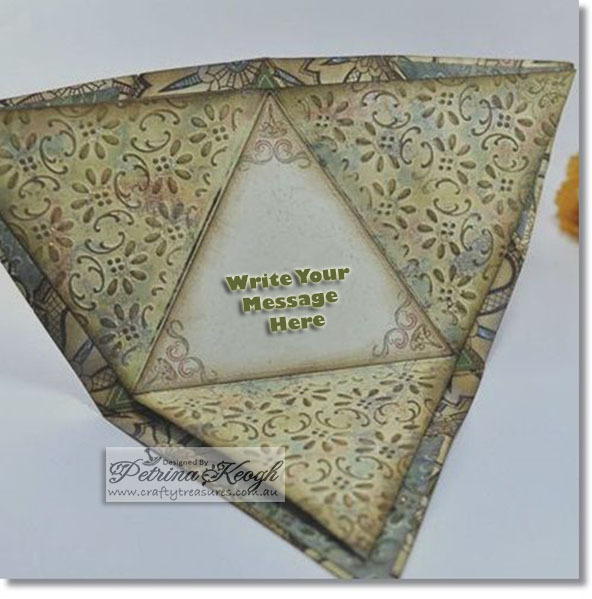 When you’ve made the base card, you can then make the inner hidden message panel inside with the colour coded instruction guide, I made for you in Inches and Centimeters for easy use. You will find the instruction guide below. 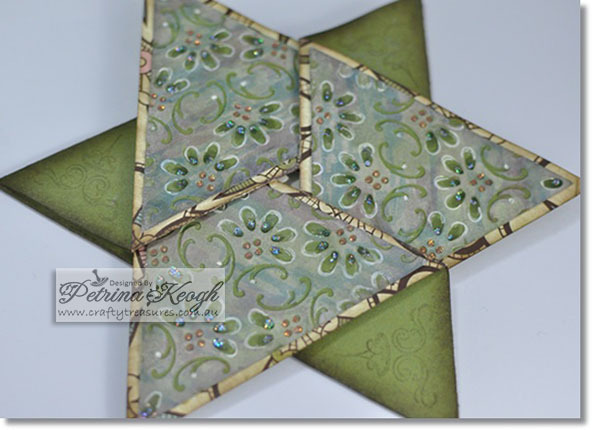 I stamped CC Designs – Sweet November/April for the front panel. I also stamped some scenery around her with Stampscapes – Rubber stamps and an old ImaginAir Designs – Rubber stamp, for the ground. 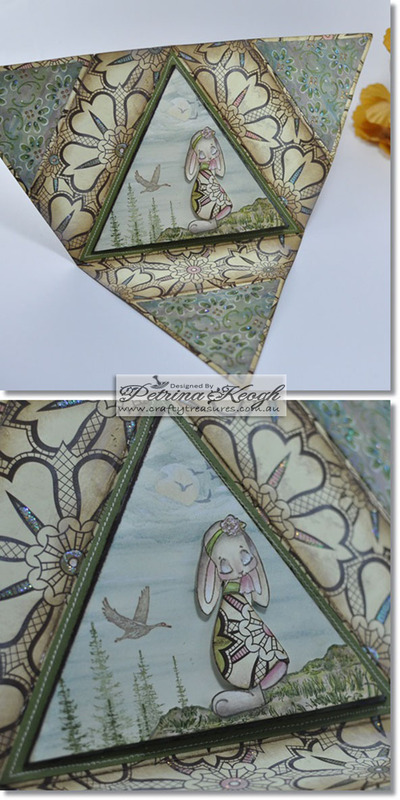 I stamped in each corner of the outside & inside panel with Kaisercraft – Clear/Magnolia Grove stamp. I coloured April with Copic Markers and distressed the card with Distress Inks. I dry embossed the three inner panels with a Stampin ‘ Up! 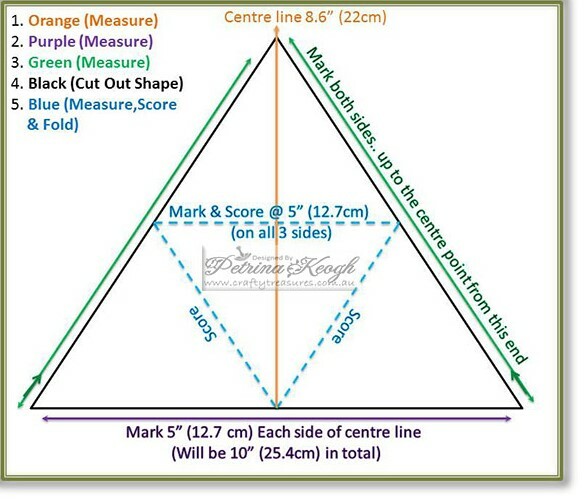 – Embossing folder/Finial Press. I did detail stitching around the inner panel and embellished parts of the patterned paper with Stickles Glitter Glue. 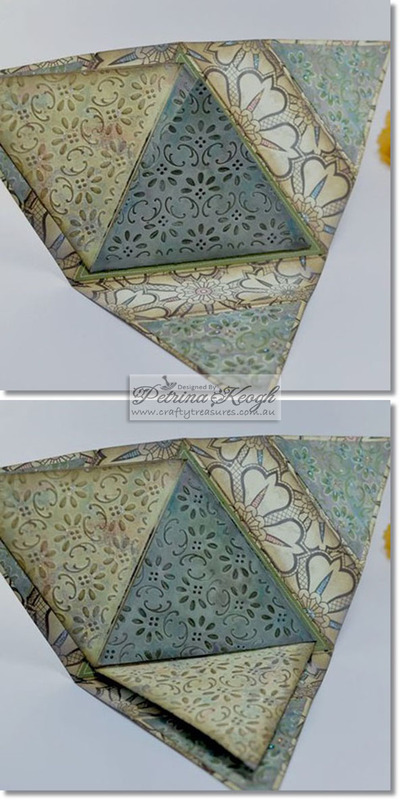 This lovely six sided star shape, with Christmas sooo close… I can just imagine this done in a gorgeous Christmas theme, with a Jolly Santa, Christmas tree or Reindeer stamped on that inside panel. Below… You Found It, Wahoo! Thanks for popping in, Happy Crafting!